How to Rip and Convert Blu-Ray to AVI on Mac? Watching movies on portable devices like Xbox, Zune, PSP, PS4, smart phones and so on would no doubt be a great pleasure for movie fans. Blu-ray movie offers high quality image and audio experience. However, these devices couldn’t accept Blu-ray movies directly. Converting Blu-ray to AVI is a good choice, as AVI is a popular video format that is supported by most portable media player devices, the abovementioned devices included. Introduced by Microsoft in November 1992 as part of its Video for Windows software, AVI, fully named as Audio Video Interleaved, is a multimedia container format. AVI files can contain both audio and video data in a file container that allows synchronous audio-with-video playback, and support multiple streaming audio and video. For Windows users, they can take advantage of Windows Media Player to play AVI files. However, it gets a little complicated to play AVI files on Mac as AVI apparently is not accepted by Apple and Apple’s products. Here we discuss two ways for Mac users to play AVI files on Mac. Perian, is a great open-source QuickTime component that allows playback of different video formats that cannot be played natively on your Mac computer. 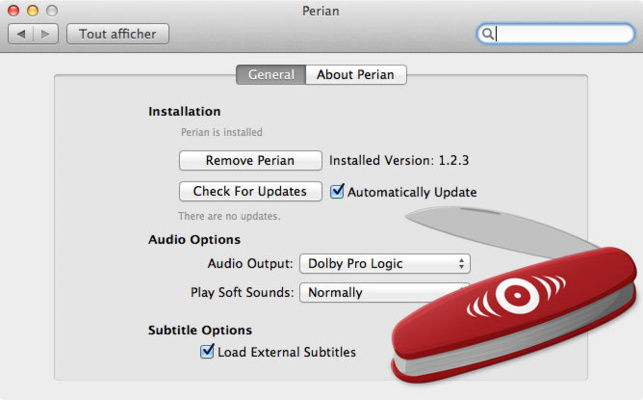 If you want to use QuickTime as your main video player, you may choose to download Perian because it provides the necessary codecs or components that will allow you to play AVI on Mac. Another solution to play AVI files on Mac is to use a 3rd-party Mac media player like Free Mac AVI Player. Leawo Blu-ray Player for Mac is such a kind of player, and it is 100% free. Leawo Blu-ray Ripper for Mac is such a professional, powerful and easy-to-use Blu-ray to AVI Converter for Mac that meets all the requirements above, and can convert Blu-ray to AVI on Mac with high quality and top speed. 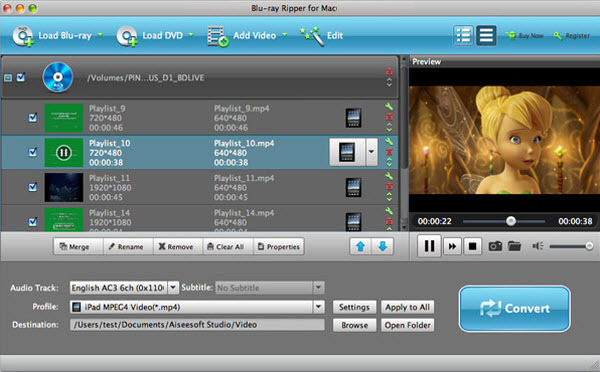 As a professional Mac Blu-ray converting program, Leawo Blu-ray Ripper for Mac provides effective solution to help Mac OS users easily rip Blu-ray and then convert Blu-ray movies to videos in various formats like AVI, FLV, MP4, MKV, F4V, MOV, etc. on Mac, to hard disk or portable media players. With Leawo Blu-ray Ripper for Mac, you could easily convert Blu-ray movies and then watch Blu-ray movies on multiple media players and portable devices, upload Blu-ray movies to YouTube or blog for sharing with friends, import Blu-ray movies to FCP, iMovie, etc. for further editing, and so on. Therefore, it is safe to draw a conclusion that Leawo Blu-ray Ripper for Mac is the best Blu-Ray to AVI converter for Mac. The below content is a step-by-step guide on how to rip and convert Blu-ray to AVI on Mac. Check it out. 1. 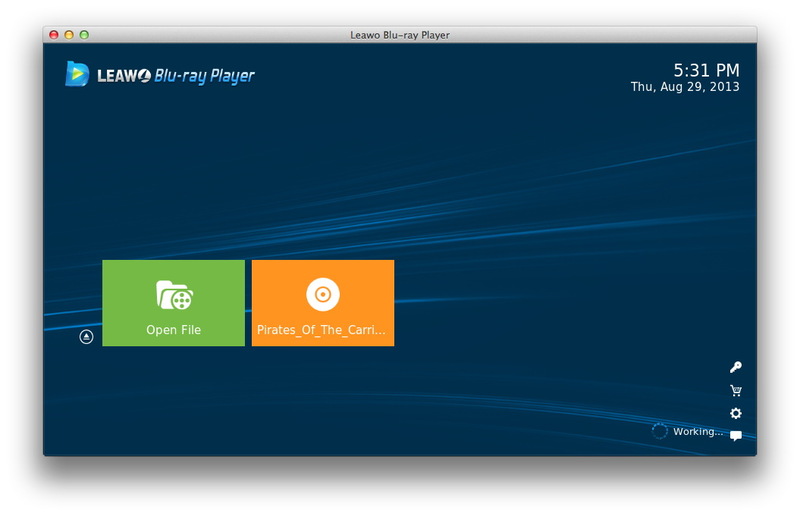 Download and install Leawo Blu-ray Ripper for Mac(Windows users should turn to Leawo Blu-ray Ripper). 2. Mac computer with BD drive. Launch the best Blu-ray to AVI converter for Mac to enter the main interface, on which you should click “Add Blu-ray/DVD” button to load Blu-ray discs and folders as you need. Multiple source Blu-ray movies could be loaded. At the bottom of the left processing list panel, you could select subtitles and audio tracks from source Blu-ray files by clicking the Subtitles and Audio tracks boxes. Click the clickable drop-down box before the big “Convert” button and then select “Change” option to enter “Profile” frame and choose AVI format from “Format” group as the output profile. Click “Edit” button on the drop-down box before the green “Convert” button on the sub-menu bar to adjust video codec, audio codec, bit rate, aspect ratio, frame rate, channel, etc. if necessary. Go back to the main interface and then click the big green “Convert” button. Set output directory on the popup sidebar, and then click the bottom “Convert” button to start converting Blu-ray movies to AVI videos on Mac. FilesAtoZ Blu-ray Ripper for Mac is another Blu-ray to AVI converter for Mac. Apart from ripping Blu-ray to AVI, this Blu-ray Ripper for Mac is also capable of ripping Blu-ray movies to common video or HD video such as MP4, M4V, MOV, etc, and extracting audio off the Blu-ray movies and converting them to MP3, AAC, AC3, M4A, etc. The following tips will show you how to convert Blu-ray to AVI on Mac with FilesAtoZ Blu Ray Ripper for Mac. Step 1: Download, install, and launch this Blu Ray Ripper for Mac. Step 2: Insert the blu-ray disc, choose the proper output destination and set “AVI” as the target video format. Step 3: Click “Convert” button to begin the converting process. After a few minutes, the conversion from blu-ray to AVI will be completed. Rip Blu-ray to many other video and audio formats like MP4. MOV, M4V, MP3, AAC, etc.